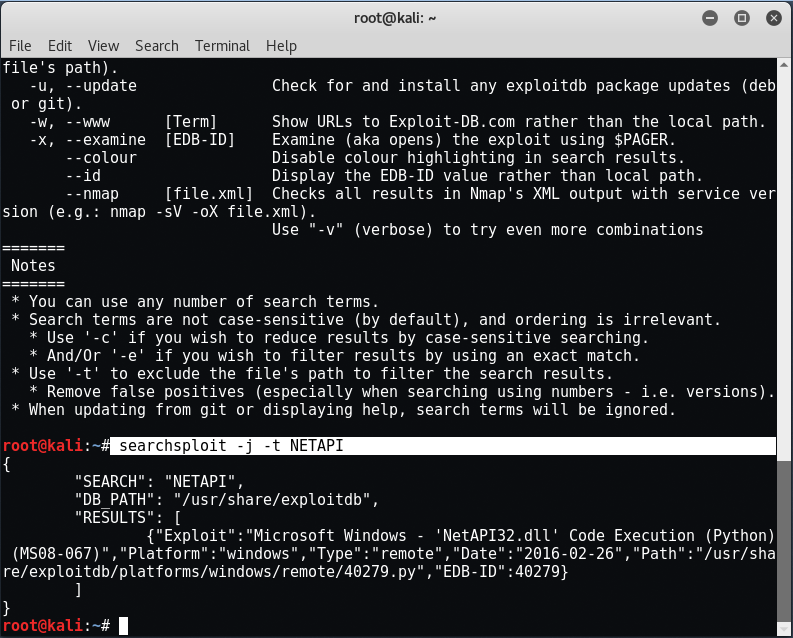 Exploit-DB is one of the most popular platform for their collection of exploits and whitepapers related to Linux/Windows/Assembly/Web/DOS etc. 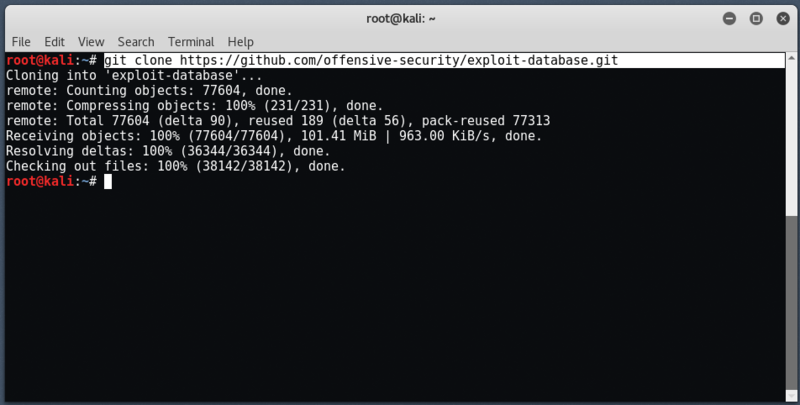 Exploit-DB is the ultimate archive of exploits, shellcode, and security whitepapers. 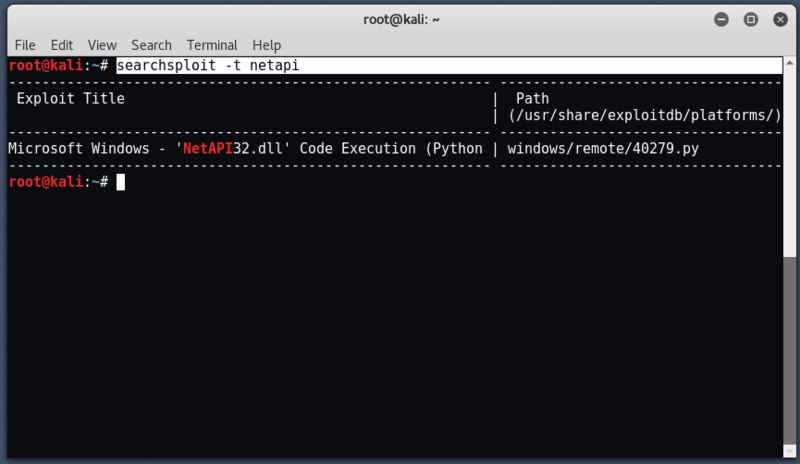 You can easily find the latest exploits related to Remote exploits, Web Application exploits, Local and Privilege Escalation exploits, Denial of Service exploits and shellcode exploits. Now they have had their archive collection for some time and the Searchsploit bash script works just fine in this case. 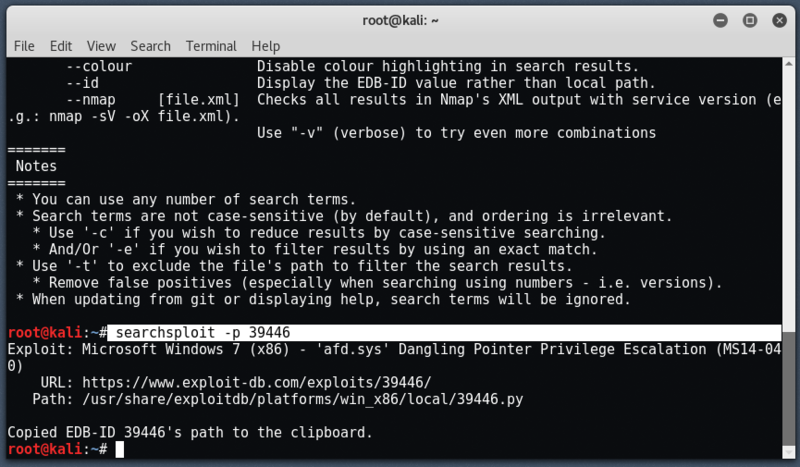 To install searchsploit, you can git clone method which directly clones the searchsploit into your Kali Linux OS from Github repository. 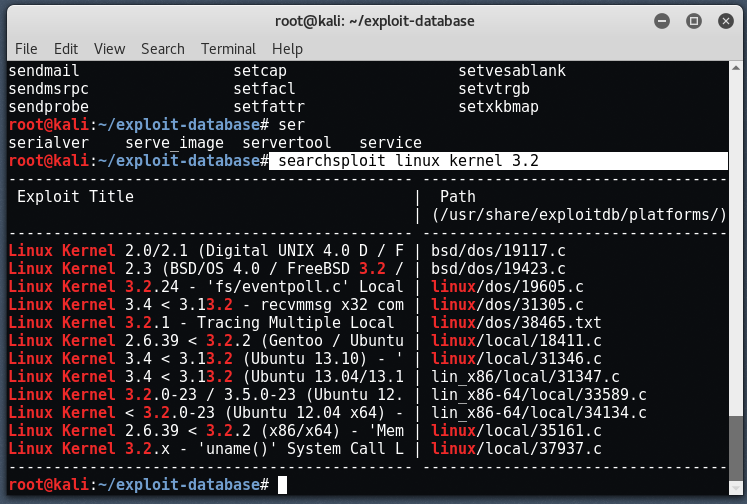 If you are using the standard GNOME build of Kali Linux, the “exploitdb” package is already included by default! 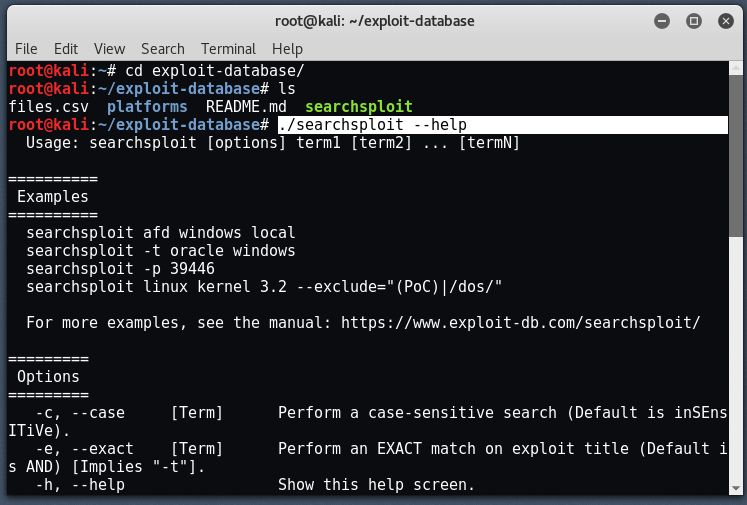 If you are not using Kali Linux, the exploitdb package may not be available through the package manager in which case, you can continue to install the searchsploit package using above git command. 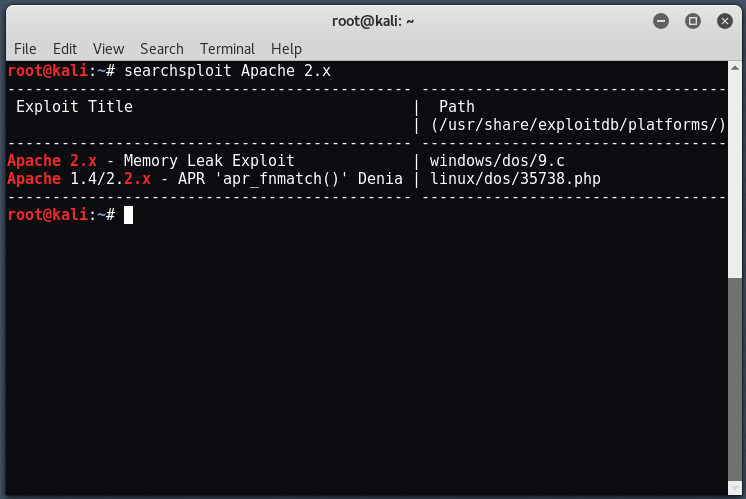 So, Searchsploit is an offline tool, where you can easily search all kind of exploits in offline mode. 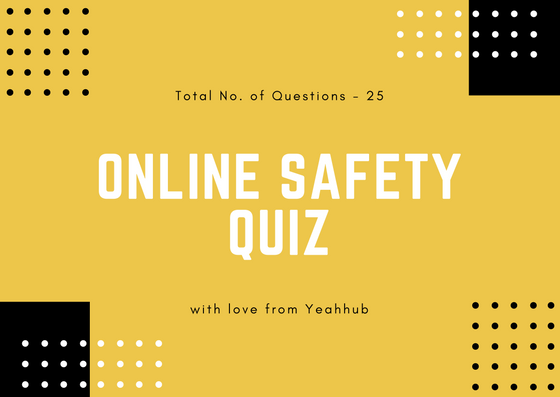 It will list all the exploits related to Linux Kernel along with the path of every exploit where its stored. 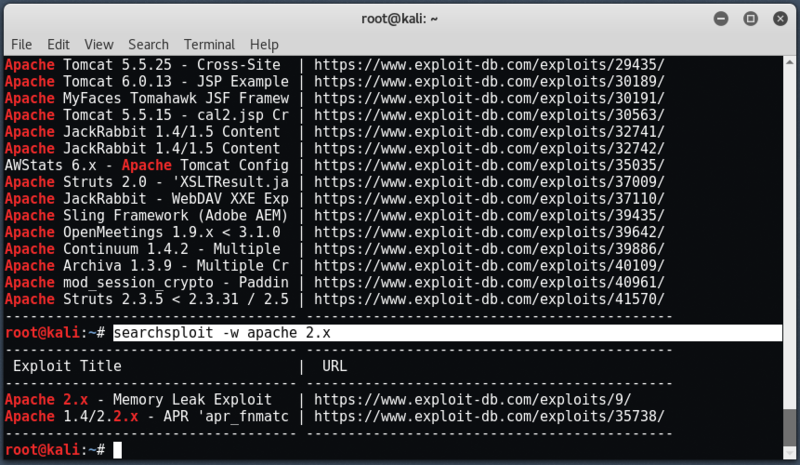 You can also include (-p) option to see the full relative path of the exploit. To search with (-t) option, will result the exploits which matches the title.